Lenovo has reportedly introduced the world’s first slate PC that offers dual-SIM support. The device is called LePad A2107 and will initially become commercially available in the manufacturer’s home country of China. While the tablet’s innards are not that impressive, it is certainly always exciting when a company manages to come up with something new, especially in today’s tech world. According to a report from Liliputing, the A2107 packs an MTK6575 processor, which incorporates one physical core operating at a frequency of 1GHz. Furthermore, users will be provided with a 7-inch capacitive touchscreen display that delivers a maximum supported resolution of 1024-by-600 pixels. The new LePad presumably houses 1GB of DDR3 memory and 16GB on-board flash storage that is expandable by utilizing the built-in microSD card reader slot. 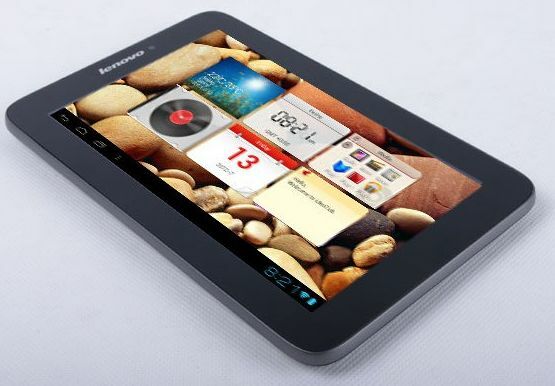 In terms of connectivity, Lenovo’s latest tablet comes with Wireless LAN and 3G capabilities. Measuring 11.5mm thick and weighing 400grams (0.88lbs), the A2107 is equipped with a 3MP camera on the back and a 2MP front-facing web camera for video conferencing. Moreover, the device runs on an Android 4.0 Ice Cream Sandwich operating system and is powered by a 3,500mAh battery that supposedly has an autonomy period of up to 10 hours. Lenovo is yet to disclose if and when the LePad A2107 will hit North American or European stores.